So Which Company Should You Choose? There are a lot of towing companies in Mississauga that are ready to serve all the time. Whether you call them at night or dawn, these companies can immediately send their auto technicians when you ask them for help. But before lurking to any of their offers, it is important to consider these ten questions so that your money is worth to spend. Always check the company’s background in terms of their accreditation from approved agencies. Scams are common nowadays and if the company you call is not registered; you might get the wrong kind of services you want. How many years is the company serving the community? Years of service are important because it signifies the company’s reliability and trustworthiness to their old and new customers. What are the common feedbacks from their customers? Never avail a towing service if you are unsure of the company’s services. Try to browse reviews online or ask your friends whether the company has maintained excellence and efficiency. Some companies are open 24/7 while others are just available for a couple of hours. Make sure that the company you call is available the time you needed their services. What are the credentials of the company’s auto technician? Towing can make your vehicle at risk for damages and accidents. If the technician does not have the right training, license and certification, the risks are greater than expected. How reliable is their tow trucks? Do not just rely on the company’s profile. Have a look as well on their tow trucks whether it is new, durable and capable of towing your vehicle. What are the other kinds of services they provide? 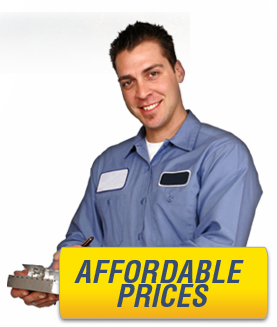 In case your vehicle is in trouble, might as well call the company that offers other kind of services for your needs. What is the possible cost of their towing services? Know your budget when availing a towing service. Do not call a company that is known for their hidden charges. What are the terms and conditions applicable to their towing services? If there are damages incurred while towing your vehicle, make sure that the company covers the potential costs of repair. Can you use your auto insurance to cover the costs? If your auto insurance covers the towing costs and roadside assistance expenses, better ask the company you are about to call so that you will not pay anything more.